Summer annual, reaching 3-9 feet in height. 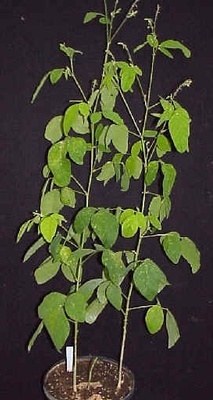 Leaves and stems covered with short, stiff hairs that often stick to clothing. Cotyledons round to oval with smooth margins, 3-5 mm wide, 5-8 mm long. 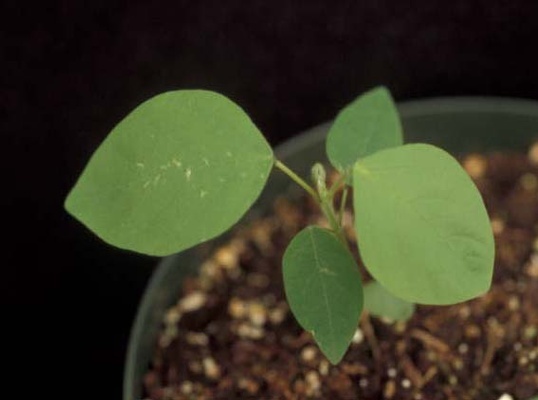 Alternate, consisting of 3 elliptic to oblong leaflets in upper leaves (trifoliate), perhaps only 1 leaflet in the lower leaves. 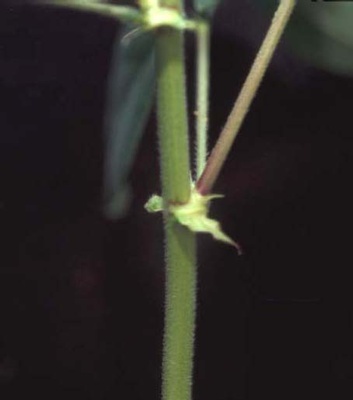 Leaves occur on petioles and stipules occur where the petiole meets the stem. 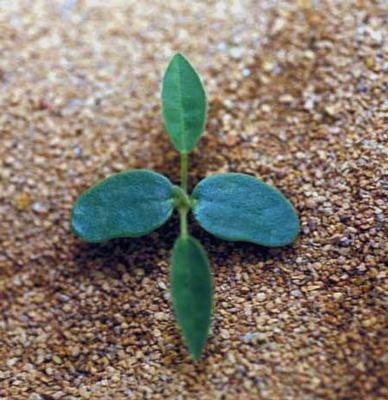 Each leaflet 3-4 inches long, ovate to lance-shaped. Erect, may be reddish-purple, 3-9 feet tall, usually covered with short stiff hairs. 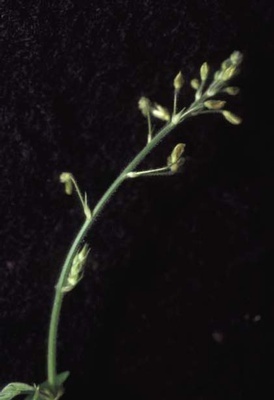 Occur near the top of plants as racemes or branched panicles. Petals are bluish-purple to purple, 5-7 mm long. A loment of 2-7 oval to circular segments, each 3-5 mm long, 3-4 mm broad. Each segment encloses a seed and is densely covered with short, stiff hairs that stick to clothing. Distinctive segmented fruit that sticks to clothing, hairy leaves and stems, and presence of stipules are all features that aide in the identification of this weed.